My Joomla website has a strange problem with search engine robots. I checked ALL the standard things a webmaster can do to make sure it is not a trivial issue with robots.txt file or other search engine optimization parameters. My university's IT folks are clueless of what's going on and so are the people who tried to help on Joomla's forums. I asked this question on Pro Webmasters stackexchange too. But I am starting to suspect that there may be some hidden setting somewhere in Joomla causing the issue. So, I am asking this question here to see if there is a setting I am missing somewhere. The actual problem starts here. Nothing there should stop Google from searching my website. And even more confusingly, when I go to Google Webmaster tools, under "Blocked URLs" tab, when I try many of the links on the site, they are all shown up as "Allowed". I then tried adding a sitemap, putting it in the robots.txt file. That did not help. 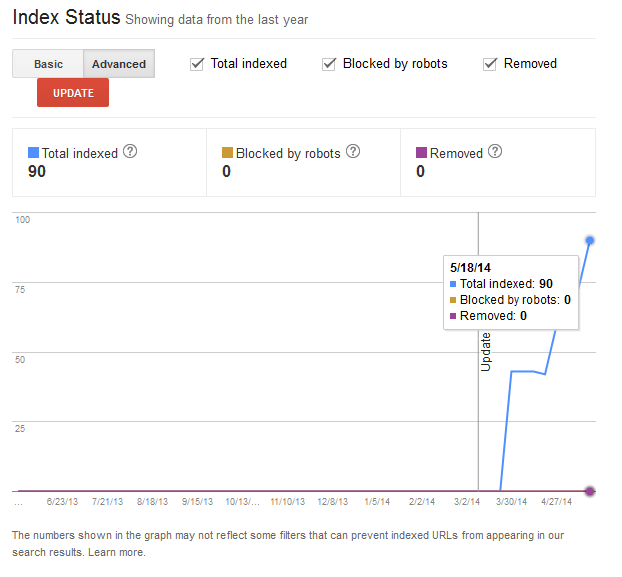 Same exact search result, same behavior in the "Blocked URLs" tab on the webmaster tools. Now additionally, the "sitemaps" tab says for several links an error saying "URL is robotted out". I tried those exact links in the "Blocked URLs" and they are allowed! I then tried deleting the robots.txt file. No use. Same exact problem. Here is an example screenshot from Webmaster tools. At this point I cannot give a rational explanation to why this is happening and neither can anyone in the IT department here. No one on Joomla forums can seem to understand what is going on. Does anyone know if there is a possible conflict in the Joomla site configuration based on what is described above? I have used a plugin called externallogin to allow my users to login using the University CAS (Central Authentication Server). It turns out that this plugin is adding a 303 redirect to the HTTP Header response to ALL my pages, due to a configuration error. So, as a consequence none of my pages are getting indexed properly as Google either (a) penalizes 303 redirects or probably because (b) the page to which the 303 redirect points to (https://login.umd.edu/) has a robots.txt that disallows all bots. 1. In the extensions menu, under "External Login>", go to the server configuration. 2. In the connections tab, for "Automatic Login/Logout", choose 'No'. The error occurs if you choose 'Yes' in step 2, since in this case, the extension automatically adds a 303 redirect to all pages of your website, to check whether a user has been logged in to the CAS in the browser session, and if so it automatically logs you into the site. This feature will cause search engine indexing problems. Thanks goes to @stephen-ostermiller (Relevant answer on Pro Webmasters) for directing me in the right direction by making me realize that it was a 303 redirect added by the extension. Not the answer you're looking for? Browse other questions tagged joomla-2.5 seo configuration or ask your own question. How to correctly set a cookieless subdomain using Joomla?